Over the years I’ve collected maps. Not the vintage types that cartographers covet but random roadmaps that AAA puts out. I used to love flipping through a Thomas Guide and seeing a city layout and trying to memorize freeways and shortcuts. Paper maps have been replaced by GPS on smartphones, desktop computers or in a car dashboard. I think GPS is an amazing technology and I rate it second to the internet as a life-changing product especially for a map nerd like me. But kids today are missing out. Learning to decipher a map by referring to the “legend” or using a map and compass while orienteering is becoming a lost art. Maps and globes not only teach us geography but world politics as borders change and countries disappear and reappear over time. These are important lessons for children as they seek more knowledge of the outside world. Before you throw out your pile of maps, take them out and explore with with your kids. Here are five ways that maps can be fun for them. Many maps are color coordinated and colors are used to separate countries and states. You can identify water, roadways and mountains with color. Before your next road trip, show your kids the route on a map and explain why you chose it. Are you sticking to freeways or going more scenic? Will you pass lakes or rivers or cross mountains? Use a map to show your kids where their friends and family live. This can provide some spatial awareness so they understand why they might not see grandma and grandpa as often. Use a laminated map and dry erase markers to make note of news around the world. Or use push pins to keep track of travels with your kids. How many countries in Africa can you recite? How many state capitols? The winner gets ice cream (everyone wins). 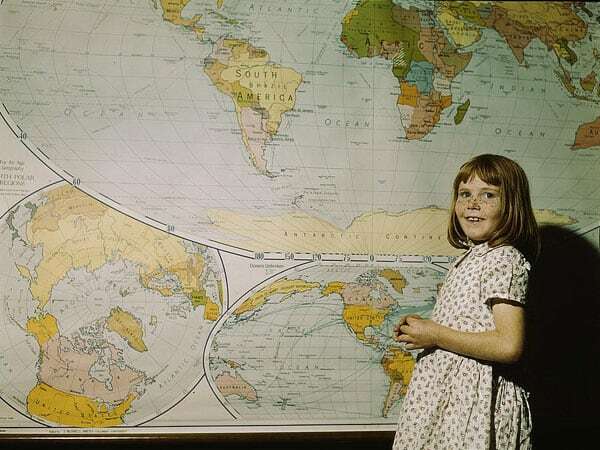 How have you taught your kids to use maps? Do you still think it’s important to use maps?